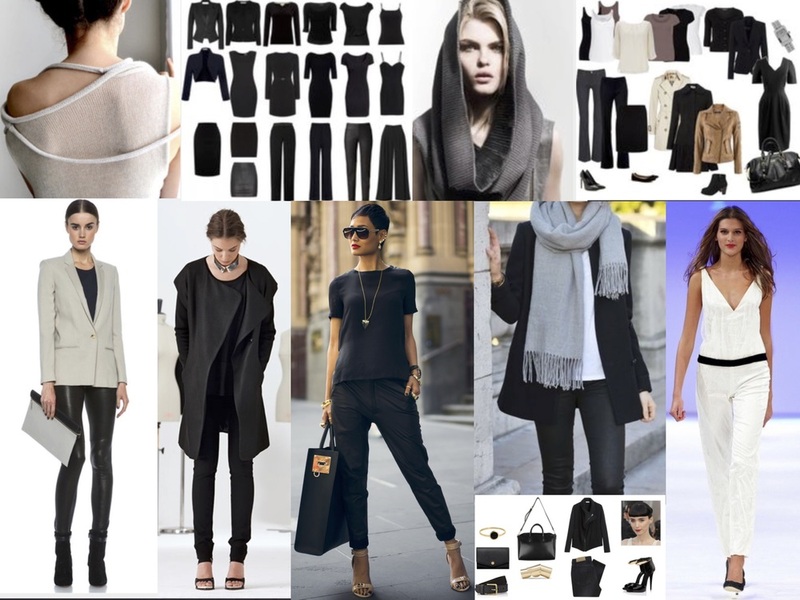 The next style archetype I want to share with you is the Minimalist – another one of my personal favorites! This particular style is not too far removed from the Classic archetype. The similarity between the two lies in having clean, structured lines (often times with asymmetrical cuts) coupled with the use of solids & neutral color palettes. You typically won't see any patterns with this style profile. When dressing within this style archetype, simplicity always results in an air of sophistication and savviness! Celebrity style icons that love their minimalist wardrobes include Victoria Beckham, Angelina Jolie, Kate Blanchett, Jennifer Aniston, and Naomi Watts. Designers/fashion houses that are known for creating some of the most beautiful minimalist clothing include Calvin Klein (he’s the king of this archetype! ), Jil Sander, Maison Margiela, Victoria Beckham, Vera Wang, Alexander Wang, and Chloe, just to name a few! Also Club Monaco, White House Black Market, and Zara are popular retailers that regularly carry Minimalist looks. Here’s a mood board of images that reflect the ‘Minimalist’ Style Archetype. Do you love these types of looks? Feel free to comment below! Want the details of other major style archetypes? Check out my blog posts on Street, Classic, Edgy, Eclectic, and Bohemian. Enjoy!